REMEMBER TO CONSULT YOUR OPTOMETRIST WHENEVER YOU ARE IN DOUBT!! For the continued safe and comfortable use of your lenses, it is important to follow the instructions given to you by your Eye Care Practitioner. Failure to follow the correct lens care regime may result in the development of serious eye problems. Cleaning and rinsing are essential to remove mucus, secretions, and deposits which may have accumulated during use. Always remember that different eyes take different time to adjust to contact lens wear, so do not worry if your experiences are different from others. 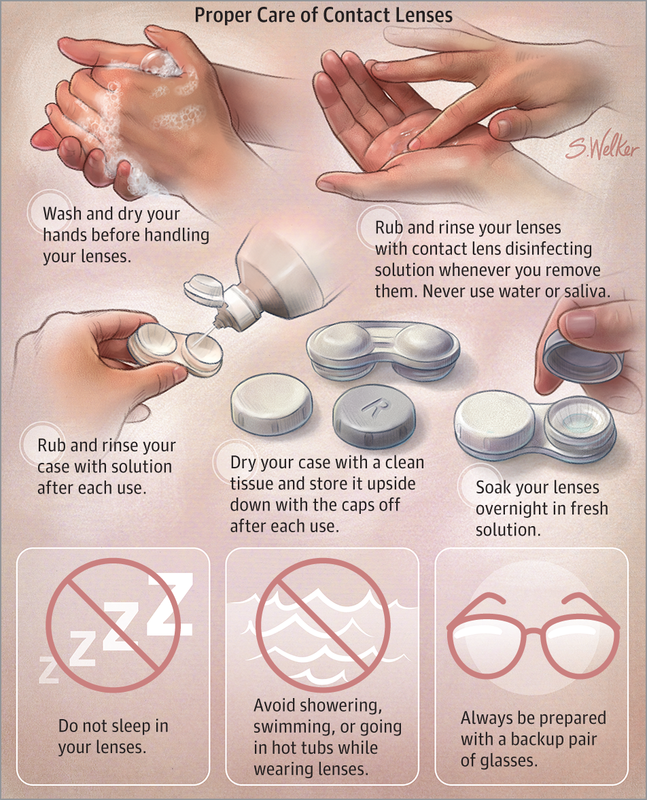 When in doubt, always take out your contact lenses and contact your eye care professionals for advice. With just a little patience and practice, you will be on your way to enjoying the freedom and comfort that contact lenses have to offer!